Sasha is from Ukraine and has been a Be My Eyes volunteer for over a year. In her time as a volunteer, she has taken more than 30 calls and has helped users in various ways: Setting up a computer, picking out a bag of rice from a bunch of other packaged grains, scanning the dial of an electric meter, reading display of a glucose test, choosing gift-wrapping paper and even finding the right color of thread to match a piece of clothing - just to name a few. The users Sasha connects with predominantly speak Russian. Even though she has received many calls, she points out two calls that she’s most sentimental of. On one of the calls, Sasha got connected to a woman who had received her birthday presents and cards by mail. Sasha started out by describing the gifts to the woman and reading the cards aloud to her. The other phone call was a test call, so there was no real task to perform. But the reason it stands out to Sasha is because the user on the other end had a lot of questions about how to use Be My Eyes. The user was very worried that they might be bothering the volunteers. Sasha addressed every question and assured the user of the app’s intent to provide an opportunity for users to ask for help without doubt or inhibition, because volunteers, like herself, are there because they want to be. 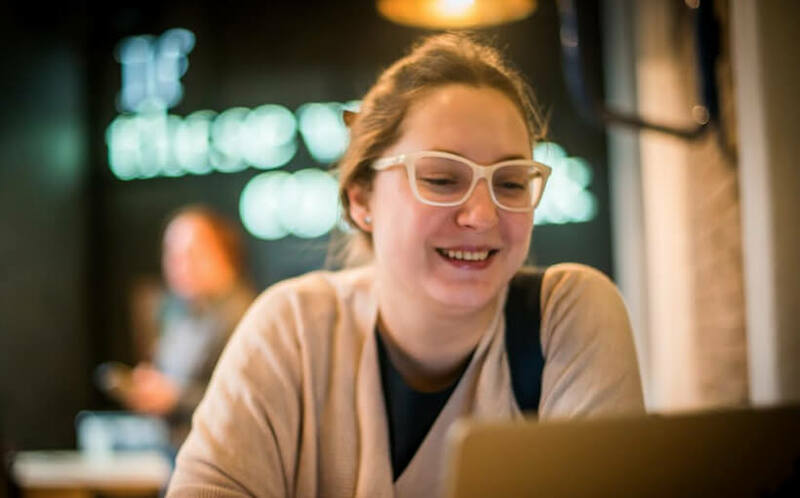 As a Be My Eyes volunteer, Sasha has gained a wider perspective, and she is now more concerned with issues like inclusion and usability, which is something that she has been able to use in her professional life. Sasha works in marketing at a local e-commerce business. Be My Eyes has shifted her perspective and encouraged her to bring up concerns about the usability of the products she works with in her profession. Her suggestions resulted in some adjustments to the company’s website and office space, which are now more accessible. According to Sasha, there is still a lot to be done. Our cities and infrastructures are not at all suitable for people with any kind of disability, and now I try to give more of my time, concern, and money for local projects that ensure safety and inclusion for people with disabilities. Even though there is more progress to be made, the possibilities that Be My Eyes provides still make a difference to Sasha. Thank you for an opportunity to straighten my priorities and to build up my empathy.